Your wedding day is the most important and amazing day of your life. Therefore, to choose a right entertainment which will fill out 6 hours of your day is not an easy task! We would like to assure you that you are in good hands of Enhanced Entertainment,with 18 years of experience of providing mobile DJ services and making a great memories for thousands of couples. Our set up is stylish and will look great in your venue. We will work with you to deliver and customise your day to your specification. We look after every detail to ensure that your evening reception runs smoothly. We offer a full personal consultation, either on the phone or happy to meet up with the couple to discuss their ideas for the evening with no obligation. We always encourage you to send over a wishlist of songs you would like to hear at your wedding so it can be tailored to your taste. We stay away from you don’t want to hear at your wedding. Below are our basic packages and prices, please feel free to contact us if you wish to create your own bespoke package. We are very proud to be chosen as one of the best MOBILE DJ services in North Somerset two years in a row according to Three Best Rated website. 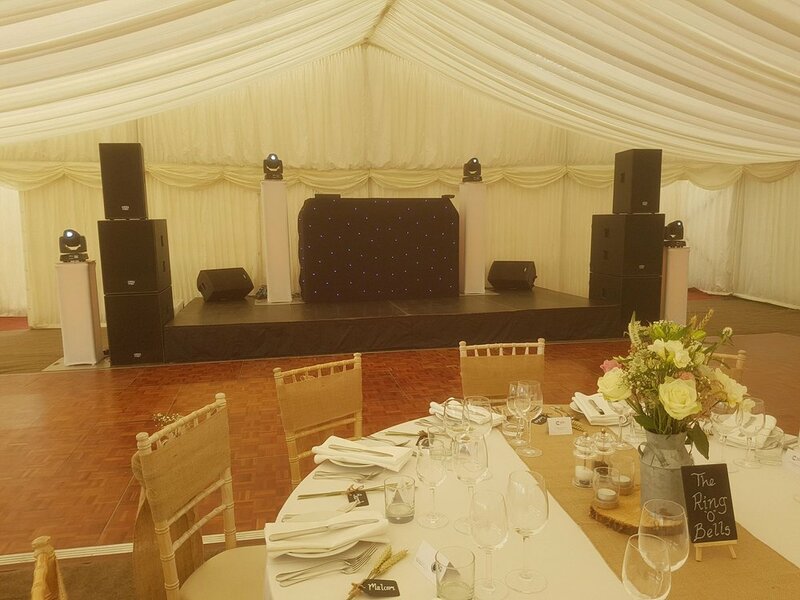 Ideal for marquee weddings, our DJ will arrive in the morning to set up. They are then on hand to make your day run smooth. They can use the microphone to get the attention of guests, make announcements. They can also liaise with other suppliers such as caterers and photographers. Our professional equipment can be used for the speeches and to add music when needed. 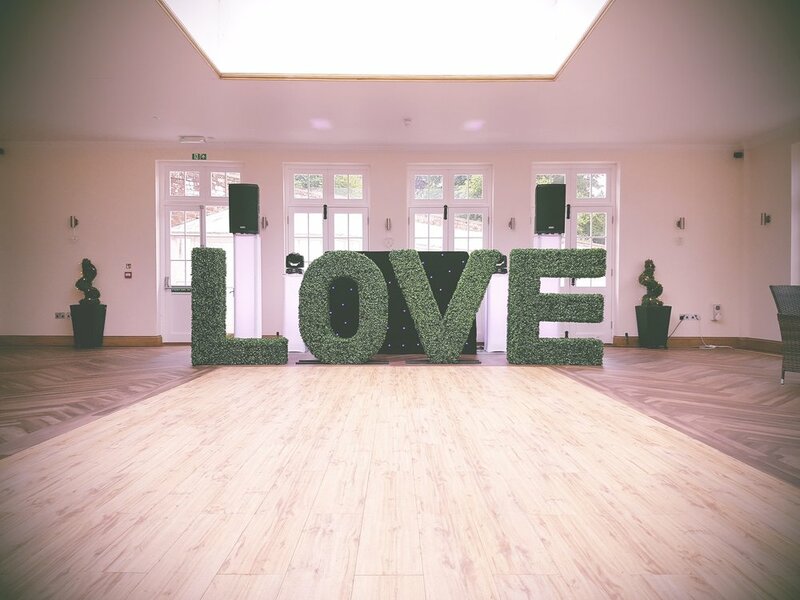 These Unique Topiary Love letters will be a talk of your wedding! We will set them up at your preferred spot in the garden on the morning of your wedding and we will pick them up the next day. Bring a bit of greenery indoors with LED fairy lights by transferring them inside for the he evening reception. Have your first dance on a cloud. This effect is different to a smoke machine, it actually melts frozen carbon dioxide in boiling water. This will send a thick cloud over the dance floor which won’t raise above your knees. They will be positioned on the dance floor and set off at an agreed time. This effect will send an elegant shower of sparks 8ft high and last 8 – 10 seconds. 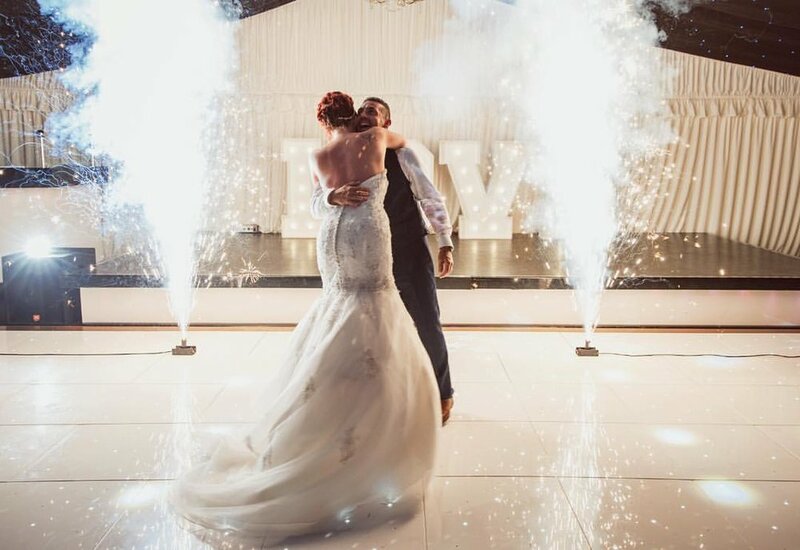 The confetti will be set off during the first dance at an agreed time, this will send confetti high into the air to fall elegantly over the pair of you on the dance floor. Please check with the venue if they allow these first. Rose Hearts will set your entrance just beautify. 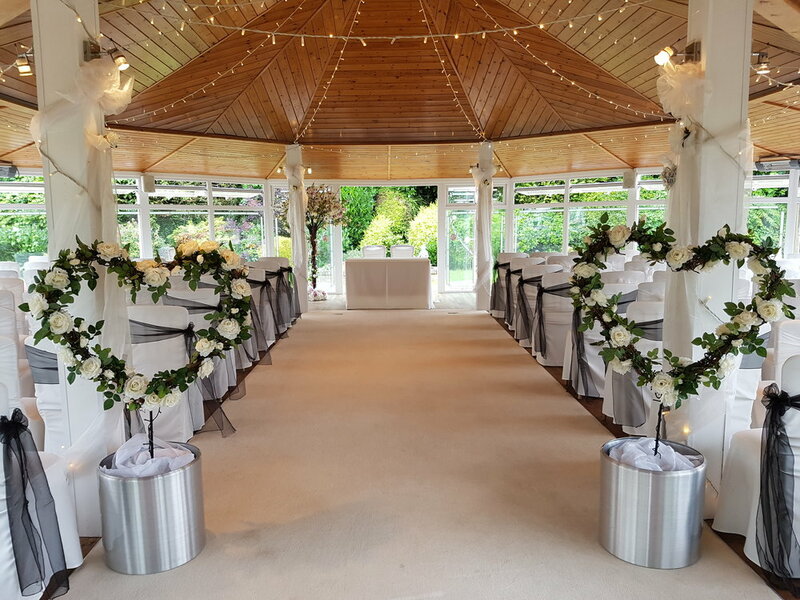 Available to hire for 24 hours with your Love Letters, thy can also be moved after the ceremony into your reception room. Floral LOVE lettersfilled with the highest quality faux flowers giving a beautiful effect. Styled and complete with Roses, Peonies, Hydrangeas with a hint of greenery. 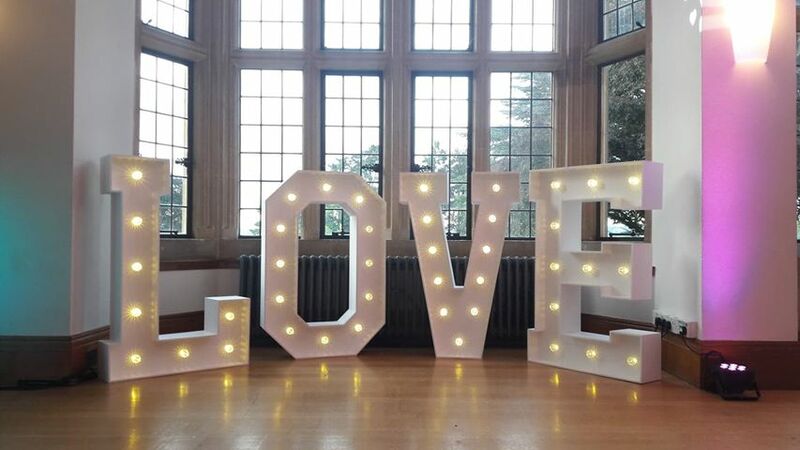 Set the scene for your wedding with this stunning battery operated light up letters.